With more than 26 years of experience as the premier luxury transportation operator, we have had the honor of providing the wedding transportation including wedding limousines and wedding shuttles for hundreds of couples throughout the Washington DC metro area. 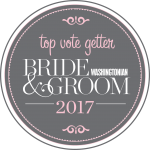 We’re thrilled to announce that we have been recognized by wedding experts as one of the best wedding transportation providers in the region and the state, including Washingtonian Bride & Groom and Virginia Living! Want to meet a representative in person or check out our vehicles for yourself? We will have a booth or other presence at the following shows in 2017 – asterisk notes events where we will have vehicles on display. Don’t have time to attend one of the shows? 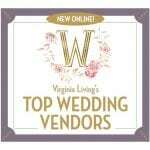 Make an appointment to visit our Dulles headquarters and talk to one of our wedding specialists as well as check out the vehicles in our 200+ fleet! Make your appointment now by calling 703.478.0500 option 1 or clicking here to email us!